Today I read the blog post below by A.J. Juliani which resonated. A colleague and I were having a conversation this week about teaching. I responded by sharing how someone could lecture every day and be a good teacher. If a teacher were able to lecture every day and do it effectively so that students were learning and engaged, then that is still good teaching. It isn’t about a specific strategy, it’s about knowing what is working and doing it well. It is as simple as that. Be good at teaching students however you know is working and prove it. Be willing to improve every day and prove it. Teach kids first. That’s it. I then read this post about Storytelling. So much of what we have to share that makes an impact is about a story. I think this article is spot on and worth the read. Storytelling is what effective teachers do-ministers, speakers, coaches, classroom teachers, administrators, leaders-teach through stories. If we look at the history of the human race, it was the first teaching tool. Enjoy the read. He started with a STORY. Stories have long been proven to impact learning. They are relatable and create strong connections. A little humor (not sarcasm) sprinkled throughout never hurts either. He connected the story to why what he was about to share should matter to ME. This speaker works with professional athletes and Olympic champions. Yet, his information that evening was crafted in importance to a common citizen in a small town. He spent time on the HOOK to create a purpose. Remember, he stood between us and dinner! Next, the content was delivered. We even had notes to take. He provided a handout with part of it filled out and blanks to fill in as he provided the information (an effective note-taking strategy). It was visually simple and easy to understand. KEY POINTS were highlighted. He even MODELED the note-taking on stage using a whiteboard with examples that were also crafted into a story. He shared 7 main points with examples from his own life, as well as stories both old and new. The learning had a compelling WHY it was important to my life. He gave us very relatable “hooks” to hang the learning on to help us remember the message. P.S. Even though he was the expert, his lecture wasn’t about him or what how much he knew. “I” was used very little, unless it was to poke fun at himself or bring a realistic perspective to his message. Here are a guide and resource for planning “lecture” days. George Curos at https://georgecouros.ca/blog/archives/6612 says it best. Simple things can make a significant difference in our classroom environments, yet we should be intentional about them.3 Every year we should strive to make it the best year students have, and if we all did this, school would only progressively get better for our students. Below are some really simple ideas that can help shape an amazing year3 for your students. Greet kids at the door. – There is a massive difference between walking into a room and being welcomed than seeing a teacher sitting at their desk prepping for the day. This sets the tone for the entire day and reminds kids that we are privileged to have them show up each and every day. Play music to liven up the day. – This might be something that I am a little biased on, but the environment of a room that I walk into that has lively music playing, as opposed to one that is quiet reminds me of warming up for a game as an athlete. Music can often bring a smile to people entering the room and is just an awesome way to start the day. Go out of your way to make your first interactions positive. – At some point, kids make mistakes. As a principal, I would go out of my way to connect with kids, before they were sent my way. A student that knows they are valued will make the tough conversations a lot easier later on. This time spent is an investment in the child, not an expenditure. Call parents early…Make sure they know you care about their kid.– I learned this awesome tip from a former secretary at my school. It is an awesome call (and far too often surprising) when parents hear from their child’s teacher and the conversation is ONLY a positive one. This is a definite investment in an emotional bank account, and lets parents know that you genuinely care about their child. Have ideas what you are going to do, but always tailor it to the students in front of you. – Be flexible. What you did last year might not work this year because these are different kids. Don’t over-plan; ask questions and learn about your students. Design the classroom with your students. – We spend so much time decorating the classroom before students show up, and then we call it “our room”. Something as simple as decorating the classroom together, not only gives students ownership of the space, but it also helps to show that you care about their opinions (while also saving you a ton of time!). Find out the passions of each student and tap into them. – One of the best way to work with people is by finding out what they love and tapping into it.5 The teachers that spent time finding out my passions, made me feel like they had a genuine interest in who I was and what I loved. Find out their dreams, and try to help them move closer to those goals. – We spend a lot of time thinking about where we want students to be, and not enough time asking where they want to go. Success is deeply personal and if we know students’ goals and dreams for both in and out of the classroom, and help them work towards achieving them, our impact will last long after their time under our care. Have them ask questions every single day, and help them find those answers. – As stated in “The Innovator’s Mindset“, if a child leaves schools less curious than when they started, we have failed them.4 Let’s ensure that we encourage our students, through different endeavours, find the answers to the questions they pose and are curious about, not just what we are expected to teach. Love them.- This might sound a little lame, but teaching is a tough job. So is being a kid. There are so many things that kids deal with while growing up, that they just need to know that someone cares about them. Go out of your way to show that enthusiasm for them as people, not just who they are as students. I would love to know the “little things” that you do in your classrooms to make a big impact. No matter when you are starting your year, I hope it is a great one! Worth the read and share with any new teachers you know entering a new school or the profession. Remember to be a marigold, as well as find one. Do students believe these messages? These are all phrases or messages teachers communicate to students each day. We hope (and pray) they will believe us. Hope is not a strategy, but there is a strategy that can assure they will believe your message. We spend hours and hours lesson planning and making preparations for the students to come to us each day. We work hard to focus on the positive and find ways to support our students both academically and emotionally. We bend over backwards and lose sleep for them. So, why wouldn’t they believe we have their best interest in mind and truly want them to be successful? Trust-it can support or negate everything above. I believe this is best played out in how a teacher manages the classroom and deals with student challenges. If the message of expectations is consistent and upheld, then as a student, I can trust the other things a teacher says and does are also true. What a teacher “allows” speaks volumes over what a teacher “says.” For example, I set the expectation in my classroom that students will practice behaviors such as walking, pushing in chairs and helping one another. If I uphold the expectation by addressing it each and every time any student is not upholding it, I am seen as trustworthy by my students-my words and actions are congruent. If I tell a student I am going to do something-I have to follow through. If I am unable to follow through-then I will need to address the reason why with the students. Credibility is huge. These actions and behaviors translate to the moments when a student needs a teacher the most-when they are struggling. A teacher’s words and actions can truly make a difference in a student’s day and life if they are believed, trusted and genuine. It takes work and mindfulness all the days before and after to make those defining moments happen. What are the expectations you are willing to hold tight to, everyday, not matter who the student may be? These are what you will fight for daily to fight for your student’s who need you the most in the moments we can’t predict. Choose them wisely. Execute them with tender assertiveness and care. Trust will become the hidden key to student and teacher growth. Difficult students & remembering why you do what you do-2 of the most “non-data” pieces that rule an educators life. I just read both of these articles from Edutopia (they are quick reads) that I think are worth your time and thinking, too. They are both spot on. This can be a tough time of year for so many reasons. You can do this! Both you and your students can come out stronger, better and blessed because of the perspective you choose to weather the storms. When a lesson flops….and it will. You put in the time to plan a lesson. You imagined how it would go. You knew what you were going to say and do. You could even picture the students responding and working. Then-it flopped. It happens. And, it is okay. What you do next is where the learning and growing can occur-if you will let it. This article is a short, but great read about what to do after a lesson flops. Spoiler alert-it is not about blaming the students. Congratulations-teachers have to learn from mistakes, too. 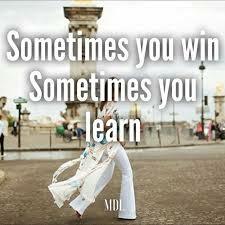 Celebrate a mistake and move on to new learning. Isn’t that what we want our students to do? The power that lies in thinking and reflecting is amazing. Finding the time and space to stop and do this can be more of an amazing feat. As the year begins to wind down, our culture directs reflecting in front of us with the top 10 countdowns of stories, songs, tv shows and whatever else happened in world. We are encouraged to make resolutions and bid the old year goodbye-welcoming the possibilities of what is to come. That can be exciting and scary at the same time. The unknowns for type A people and planners is never a completely comfortable spot. Where do you do your best reflecting? Does it lead to change for you? Many times it does because it comes from you. Do we build reflection opportunities for our students to go along with their learning? Providing opportunities for self-assessment and thinking about the “why” of an answer can be as powerful as the learning itself. Like everything else, it takes time and is often why it is left behind. Reflection for educators: What is your top 5 list of learnings for the past year? How has this impacted your growth and student learning? Missouri’s own Mark Twain said it best, ” The secret of getting ahead is getting started.” For beginning teachers, it may seem a challenge to begin preparing for the school year when you are unsure what to expect. You may not have been to your school yet for any length of time or had the opportunity to meet your grade level or subject area team. If you are wondering how you can start preparing now, here are some suggestions: The first suggestion is to start now. New teacher orientation or beginning of the year faculty meetings in early August may leave you feeling like trying to drink from a fire hydrant-a lot coming at you all at once. By starting now, you can get a head start to feeling confident on day 1 of your job and help reduce the sense of feeling overwhelmed. 1. Make sure the principal has your current email address and phone number to contact you. Find out the main form of communication your building administrator and district use to share information. 2. Visit your district and school’s website. Learn names, look at teacher webpages and review calendars to anticipate dates for programs, events, conferences and other important happenings for your district in the upcoming year. 3. Review the school handbook-become familiar with policies and procedures. This may include information about a character education program being used, grading systems, reading/math programs, extracurricular activities and plans for parent communication. 4. Ask where to locate a copy of curriculum, common assessments, any texts or series used for instruction, standardized tests given or trainings you might need to attend. Spend time learning what you can about these and looking for examples of how others have effectively implemented them. 5. Find out when you can start setting up your classroom. It is highly recommended setting up your room be done before you begin your teacher meetings. It’s worth repeating-have it done before you officially begin if possible. It doesn’t mean you can’t make adjustments later, but the majority should be complete. 6. Create a preliminary classroom management plan. See the examples found on this website. 7. Contact the business office for the district to inquire about any paperwork you can complete before your first contract day. 8. Email your team members to introduce yourself. 9. Become familiar with the technology plan and technology available for you to use. 10. If you are not living in the same town for which you are working, take a drive around town. Find out where students for whom you will be teaching like to visit or ways to get to know more about the community. The Chamber of Commerce is always an excellent resource. Your time invested now when you can choose your best working time will be worth the effort. Your administrators and coworkers will recognize a motivated and eager professional ready to be at his/her best for the students. This is a great way to start the year and your career! Mentors-contact your mentee as early as possible. Your time invested with them and the items above will help you both get off to a great start! No, I’m not talking about gas. Teachers do way too much thinking for students. After lesson planning, grading, doing paperwork, attending meetings and contacting parents, we are also talking and thinking for students. Stop TOOTING teachers! The teacher plans to use an article and follow-up questions to work with students on using evidence from a text to support answers. He tells students to start byfirst looking at the questions . He then explains how to use a highlighter to underline evidence to support their answer to the questions. In addition, he reads the article out loud for students to follow along. After this, he may demonstrate and explain each step of the answering process and ask the students a few questions along the way. Many or few hands are raised to respond to questions and one or two may be called upon to provide the “right” answer. Hence…the teacher is TOOT-ing throughout the lesson. The teacher tells the students the target of the lesson is to practice using evidence from text to support answers to questions. He asks students to first think for 15 seconds and then share with a shoulder partner what might be the first step. A few students are called upon (all should be able to answer) and the opportunity to add anything not shared already is provided. The teacher adds to student responses by sharing thinking about why choosing to read the questions first would be a good strategy. As each of the steps are discussed based on student input, the teacher can hear the thinking behind students’ approach to the work. He can then guide them as needed. As long as the text is at an appropriate readability level, students can read silently or in partners after the teacher models reading (and thinking) for the beginning of the passage. Together, the class can create a model of the steps to answering the questions and using evidence to support answers. Through student talking, the teacher can get a good gauge of where students are needing the most support and how much guided practice is needed before allowing students to practice independently. Teachers and student talk is distributed and student responses can guide the next steps. The book title, Never Work Harder Than Your Students by Robyn Jackson, captures what teachers should strive for. So much time is spent lesson planning, not to mention the many other decisions to make for learning. It is understandable that when it comes time to teach a lesson, the teacher takes the wheel and drives full speed ahead. It may also be thought that it is easier to manage the classroom when the teacher is talking and the students have to be quiet and listen. What if teacher’s could still stay in control of the lesson, but shift more of the work to the students? What if instead of the teacher telling students exactly what to do, he or she tapped into having students do the thinking? Being a “guide, so no student can hide” instead of “sage on the stage” might lead to more energy for an after-school celebration! Students will enjoy the learning, not to mention learn more. Try talking less, and listening more. You might be surprised that you become a learner, too. Mentors: Discuss with your mentee, “When do you notice your students least engaged?” Talk about increasing student “talk time” that is well structured and productive. How do you teach student talk time expectations, just like any procedure or routine? How can you plan questions during lesson planning that promote student thinking?